The attire to breathe life into your aspirations. 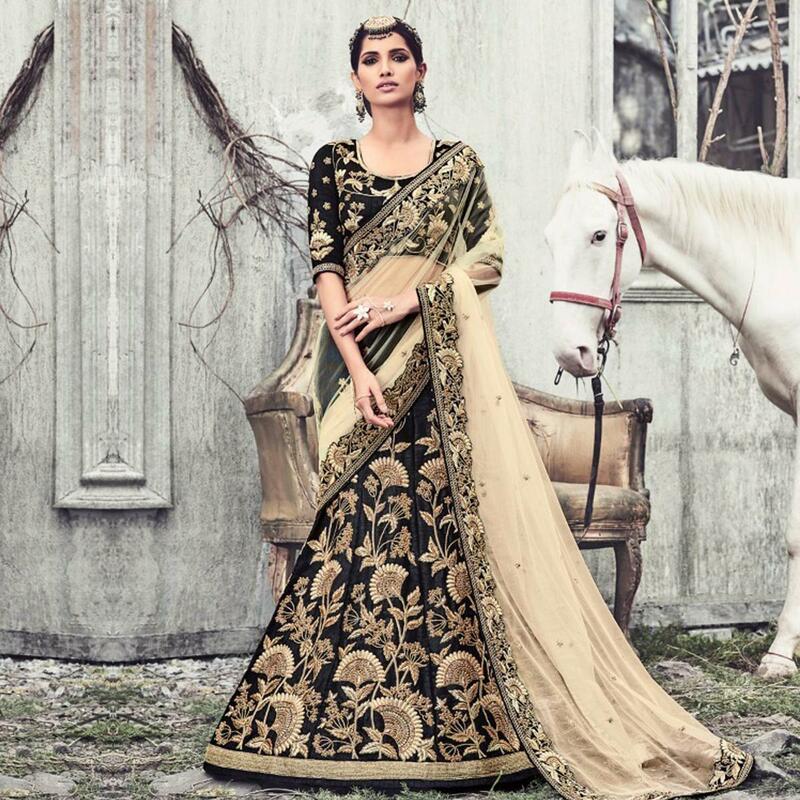 Stand out from rest with this lehenga saree. The heavy embroidered work personifies the entire appearance. Ideal for festive occasions party wear & wedding. Comes along with a matching blouse.